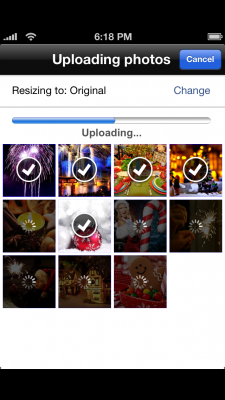 Share your iPhone/iPad photos even faster! Good news for iPhone/iPad users: we have optimized the Share.Pho.to app to make it even more convenient and fast! 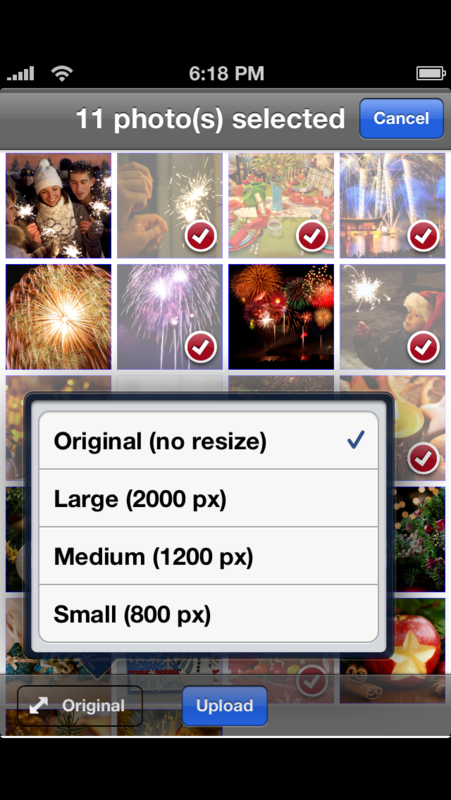 Now you can choose the size in which you want the photos to be uploaded. 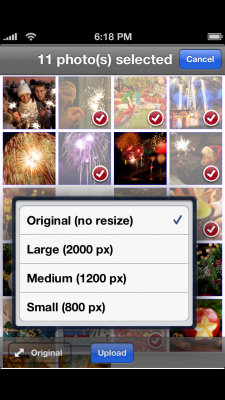 You can change the size at any moment, even if you are already uploading some images. It is useful in case you have chosen a rather large size, but can’t wait until all photos are uploaded. Compared with the first version of the Share.Pho.to app, the 1.1 version has increased uploading speed thanks to multi-thread uploading support. Enjoy the app and share your photos with ease! Download Share.Pho.to for free here. Previous Previous post: Art.Pho.to – put an artistic touch to your photos! Next Next post: Welcome CoverCam version 1.12!